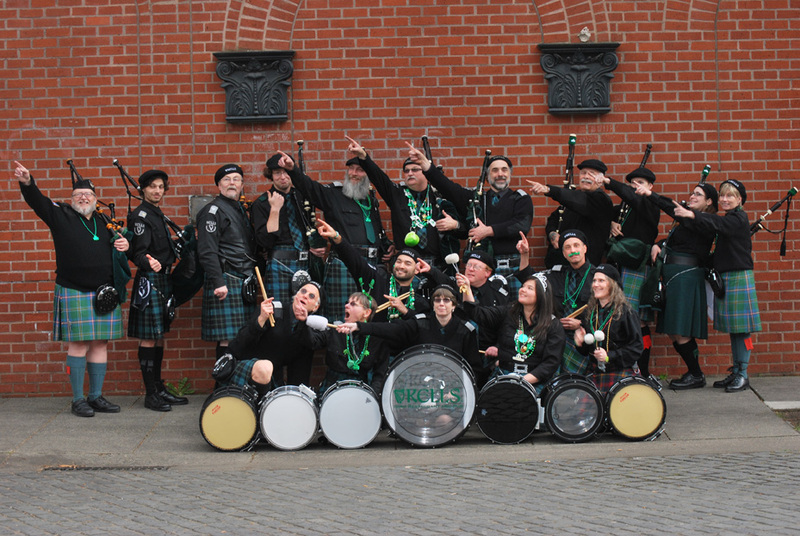 "Thrill to the skirl of the Irish War Pipes"
P I P E S A N D D R U M S B A C K G R O U N D: The band was formed in 1993 under the sponsorship of Kells Restaurant and Pub to promote and present traditional Irish bagpipe music to the Pacific Northwest. In an area with a large and vital Irish Community, the band saw the need to fill the gap left by the several Scottish pipe bands. The band caters to those who want to hear the sounds of Ireland skirling on the bagpipes. The membership of the band includes several women and many of the members have spent their lives involved in Celtic music, dance and drumming.